Back in March 2017, I purchased Dollybird vol. 25. It was the issue that featured the lovely Wizard of Oz Himeno on the cover. 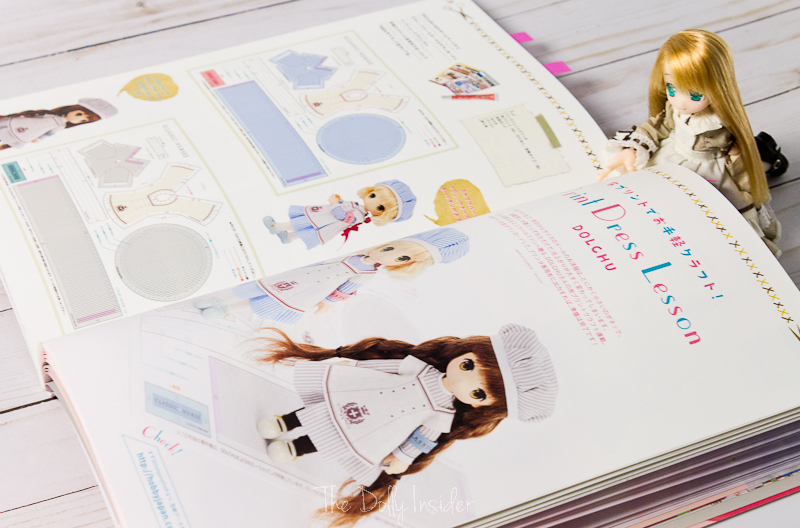 The book had a lot of awesome tutorials, patterns and dolly images like the exclusive Hetalia: Germany and Wizard of Oz Himeno dolls. But the one thing (or I should say) the 2 things that stuck with me the most were these tiny adorable girls of the Print Dress Lesson by Dolchu. There was something about those 2 that drew me in. It could’ve been that the tiny girls reminded me so much of the Lil’ Fairies. But it was probably due to my weakness for all dolly things cute and tiny. 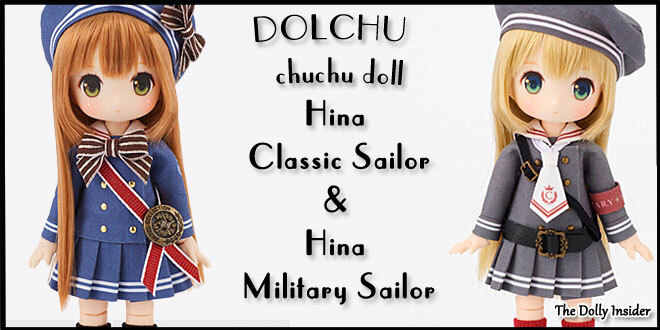 So when I discovered that Dollybird would be offering 2 girls: chuchu doll Hina Classic Sailor and chuchu doll Hina Military Sailor, for sell as part of the Dollybird Vol. 26 issue, I knew I had to get them. However, at that time, I had no idea what each girl would cost. But my mind was already made up, I was going to place my order. It took a while for Dollybird to reveal the price. And I gotta say, when my eyes ran across the price, it left me gasping for air. I wasn’t prepared for that price tag of ¥12,960 about $116 (and that’s not including the proxy fees) for these 11cm girls. Was I ready to make that type of commitment? 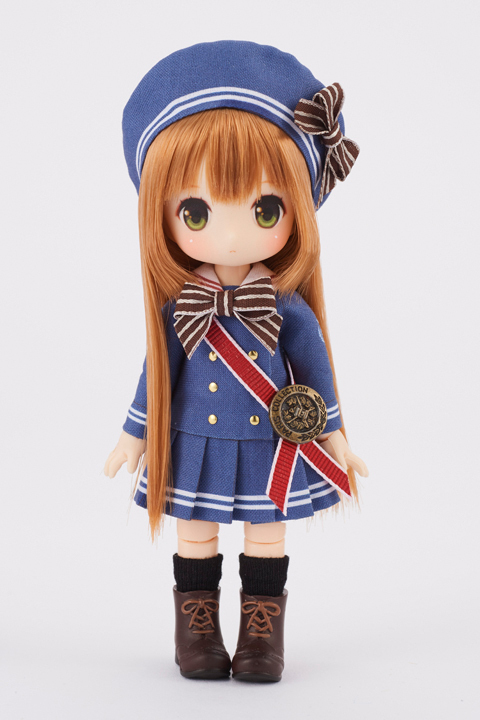 So on October 7, 2017 I placed my order for classic sailor Hina with FROM JAPAN (affiliate link). The ordering process was quick and easy. And thankfully, the Yen to USD conversions wasn’t as bad as I had originally thought. So now the challenging part begins, waiting for Hina’s arrival, summer 2018. 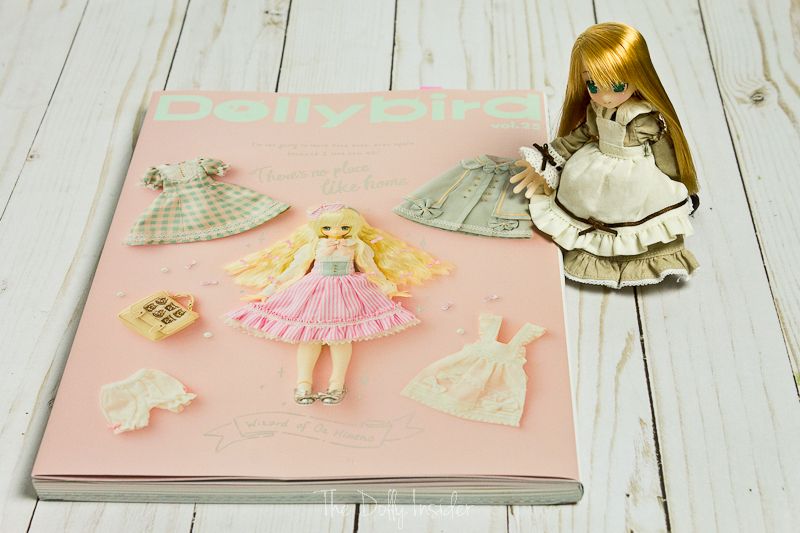 In Dollybird volumes there is a section called Print Dress Lesson by Dolchu. DOLCHU is a customizer and designer. Dollybird has featured DOLCHU in several volumes. DOLCHU has a beautiful design and style. 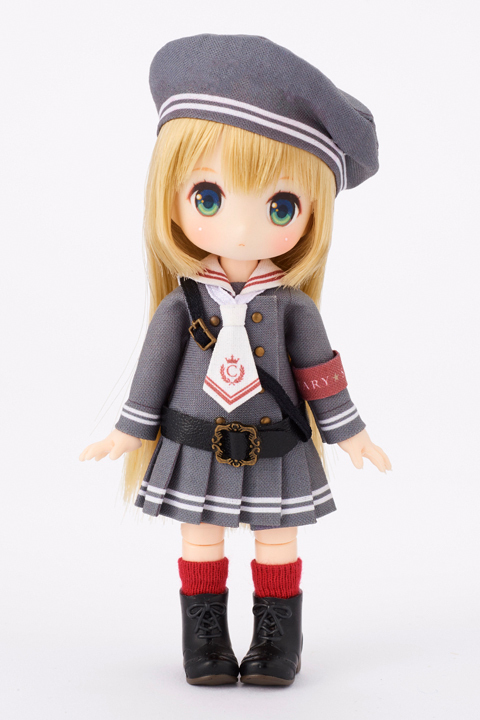 And I’m feeling very fortunate to have this opportunity to own a doll designed by DOLCHU at ¥12,960. Despite initially have the wind knocked out of me due to sticker shock, I'm happy to get Hina at this price. In the Print Dress Lesson section there are patterns designed by DOLCHU. All you need is a printer, printable fabric, and fabric adhesive, to assemble DOLCHU's outfit. The Print Dress Lessons also showcase 2 adorable mascot characters. Who are called chuchu dolls. 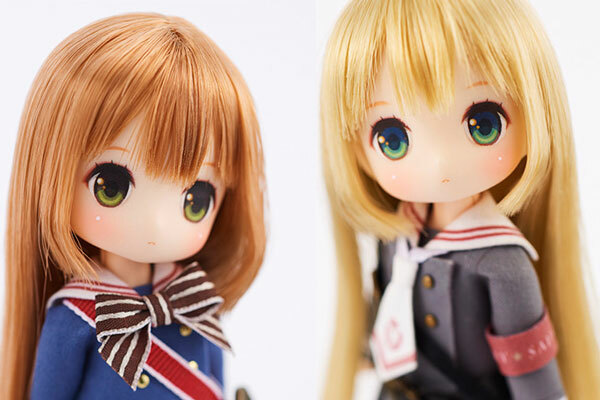 They have Obitsu size 11cm bodies and their faceup and clothes are designed by DOLCHU. Not only do these cute girls model the outfits but they assist in putting the dresses together. The Dollybird vol. 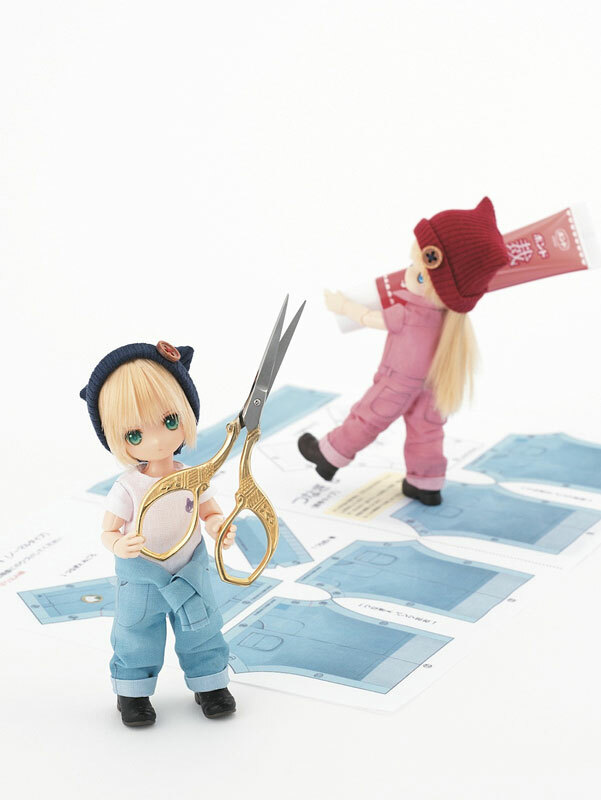 26 chuchu doll Hina girls will come with a print dress kit. Which means I'll have to assemble the outfit before Hina can wear it. I'm a little anxious about putting together her outfit. So I plan to practice putting together printable fabric, before Hina arrives so I don’t ruin her outfit. If you're interested in making DOLCHU outfits visit here to download the Dollybird Print Dress Craft patterns. I learned a valuable lesson from this experience, never underestimate the cost of a Dollybird exclusive doll, big or small. 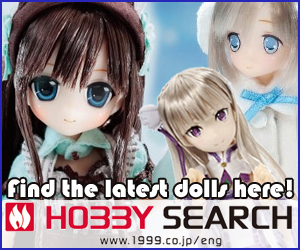 When it comes to exclusive dolls, Hobby Japan does not play around with their prices. I look forward to sharing my chuchu doll Hina with you, Summer 2018. I am surprise how all logic went out the window the moment I came across the girls' announcement. Was there ever a time when you knew you had to have a doll no matter what? Were you able to conquer those feelings the next time they reared their tempting little head? Or do you not resist it & give into the dolly goodness that beckons you? Share your experience in the box below. 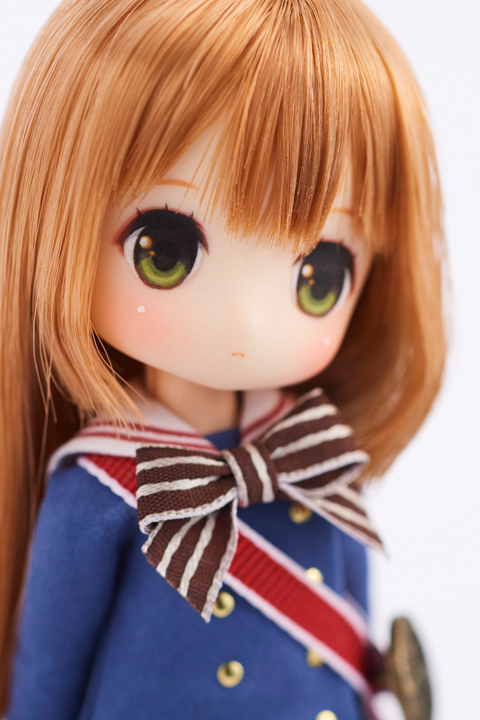 I look forward to chatting with you about Dollybird’s chuchu doll Hina. Congratulations on ordering Red Riding Hood Hina-chan! 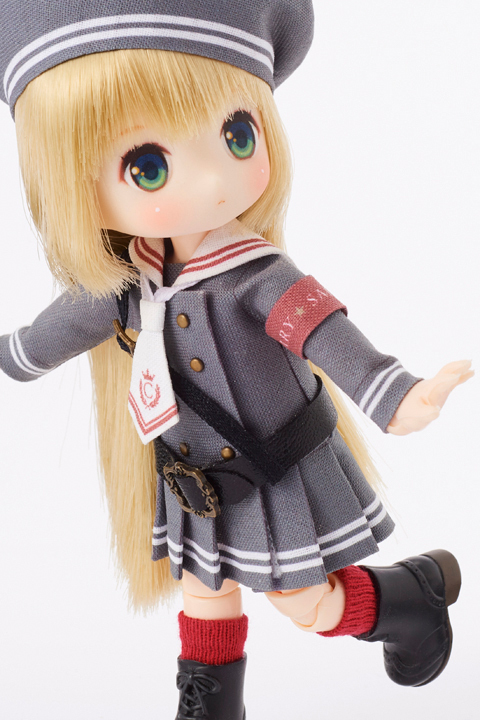 We have The Dolly Insider Facebook page but little Hina-chan isn’t up there yet. I wanted to practice before making the sailor outfit so I’ve been working on the the nurse outfit from Dollybird vol. 25. It’s good thing I did. It’s not difficult to make the paper outfits but it’s taking me some time to get use to the glueing and folding of the seams. As well as how to cut and clip the outfit to create the correct folds. If you’re familiar with this type of craft I’m sure it’s a breeze. I plan to introduce my Hina-chan in the beginning of 2019. That’s assuming I start and finish the sailor outfit. Thanks Mynx for allowing us to share in your exciting dolly news. hello, I would like to buy one of chuchu doll…can you please suggest me a proxy shopping service. I don’t know any of them. Also I can help you with dresses for your new doll 😉 .. just drop me an email. Thank you for offering to help me with Hina’s outfit. 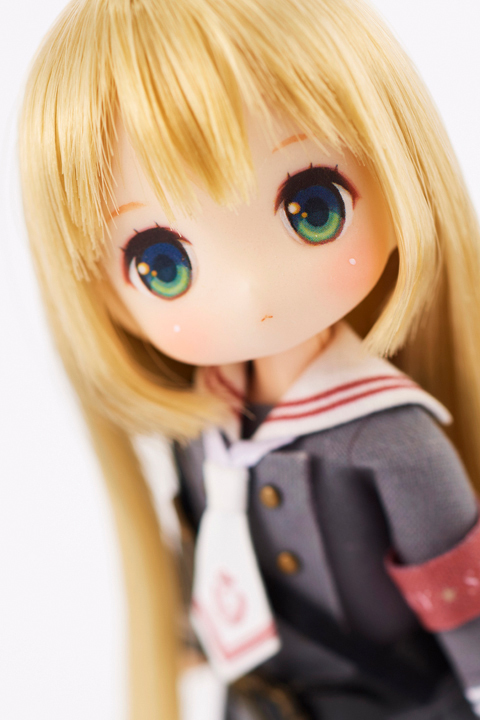 I use FROM JAPAN shopping service (affiliate link) to place my order for Hina. I find their website easy to use. Next paste the URL into the search box on From Japan’s home page. Then enter the necessary information and submit your request (you may need to create an account first). From Japan will soon get back with you with the total for your first payment. If everything looks correct, you’ll pay and then wait for the final payment invoice in 2018. From Japan is 1 of many proxy shopping services out there but it’s the one we use the most. If you decide to get Hina do let us know what you think about her when she arrives. I know my Hina would love to Say Hi! to your girl(s). They’re adorable. 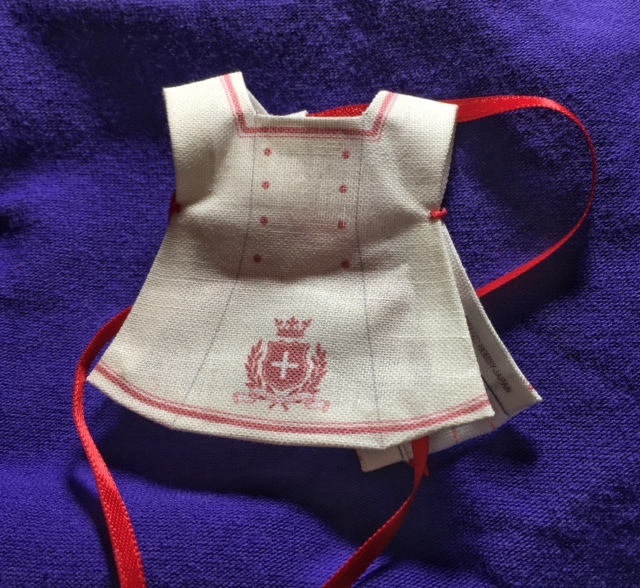 The nice thing about Obitsu 11cm bodies is that there are other sources for clothing. You can get all kinds of cute stuff from Parabox, Junky Spot, and Etsy sellers. If you’re not happy with the results of assembling an outfit yourself, or you get sick of the outfit, you’re certainly not stuck with it. Oh, thank you for recommending places to buy 11cm clothes. I saw several cute outfits that I know Hina would look super adorable in. I’ve started a wardrobe wishlist for Hina (which keeps growing). Mustn’t cave in, mustn’t cave into buying cute clothes just yet. 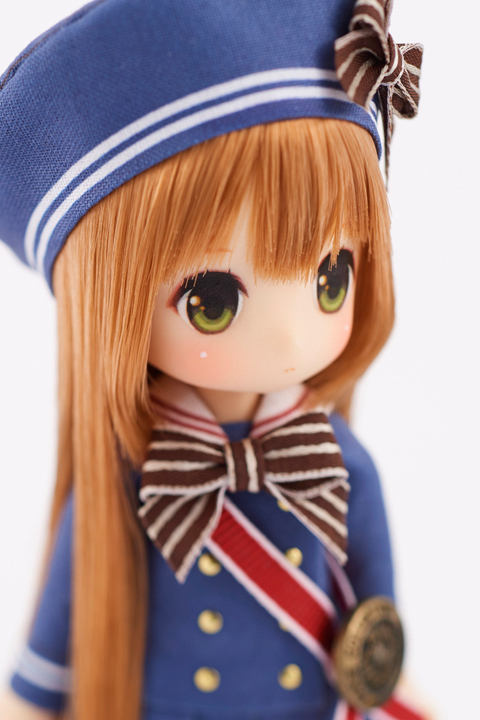 Thanks for chatting with me about chuchu doll Hina Classic Sailor & Hina Military Sailor.